Safe cantilever racking and safe pallet racking are the cornerstones of any safe warehouse — and the history of cantilever racking is the history of that safety. Storage Equipment Experts is one of the only racking inspection businesses in the UK to have a SEMA approved pallet racking inspector who has also completed the SEMA cantilever racking inspection course. As a result, our racking inspection training is second to none. Moreover, it also means that we’re very much interested in the history behind cantilever racking safety. Cantilever racking is as old as the modern warehouse, but the technology and the science behind cantilever systems are actually much older. Cantilever racking and cantilever technology is a simple idea: a rigid structure is held in place by one vertical support and the balance of weight protruding either side. Cantilever racking, and the history of safety that underpins it dates back to at least the 17th Century. According to the Merriam-Webster dictionary, the first use of the word “cantilever” was in 1667. As far as we know, this word would have had the same meaning that it does today. After all, cantilever technology is a very specific thing and there is nothing to suggest the meaning of this word changed over time. The earliest known use of cantilever technology to build a bridge was in 1890 in Scotland. The Forth Bridge, once the longest cantilever bridge in the world, is still standing and is an excellent example of cantilever technology in use. 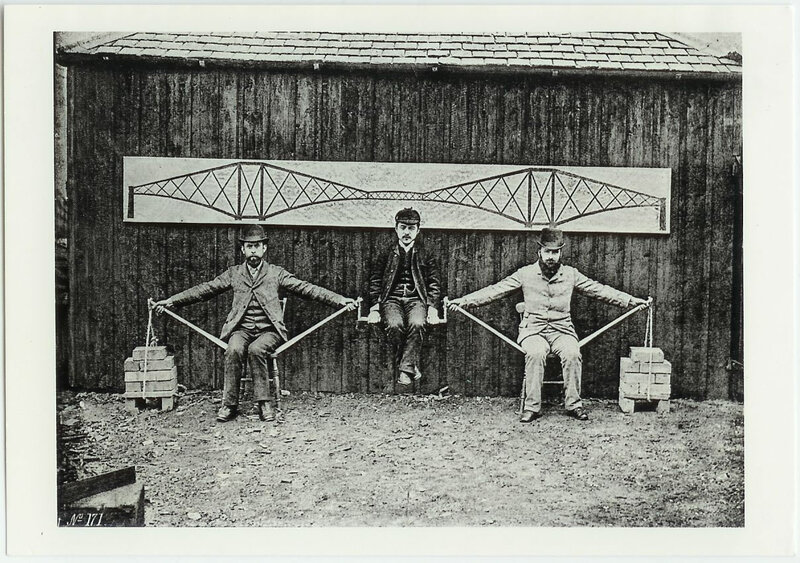 In true Victorian style, there are some excellent images of Benjamin Baker using a human cantilever bridge to demonstrate how his cantilever principle would help to build a bridge. With the rise of warehouses during the Industrial Revolution, storage technology became more advanced, as businesses needed to store ever more elaborate items in ever greater quantities. In came cantilever racking. With its ability to store longer and more bulky materials in a much simpler way, cantilever racking gave warehouse owners another option. However, as cantilever racking became more popular, warehouse safety and rack safety needed to account for this new technology. This is where SEMA and Storage Equipment Experts come in. The SEMA Cantilever Rack Safety Awareness Course was first introduced in 2015. The course is designed to give SEMA approved racking inspectors the knowledge and the training they need to be able to inspect cantilever racking, as well as pallet racking. As of 2017, Storage Equipment Experts’ SEMA approved racking inspector (SARI) is one of the only SARIs in the UK to have completed the SEMA Cantilever Rack Safety Awareness Course, as well as the SEMA Approved Inspector Qualification. It is for this reason that our racking inspection services (which include our much-praised racking inspection training course, along with expert inspections from a SEMA approved racking inspector) are such great value for money and so well received. So, for racking inspection services that have the knowledge of racking inspection history behind them, contact Storage Equipment Experts. Our racking inspection services also include a free pallet racking safety checklist. We believe in passing on our knowledge whenever we can. Our checklist is a great start, a great way to learn about the basics of racking safety, but if you want more detail or if you want to learn about cantilever racking safety, we would recommend our racking inspection training course as well. For complete peace of mind when it comes to racking safety, contact Storage Equipment Experts today for an expert racking inspection, racking inspection training, or a free pallet racking safety checklist.